VMMC Delhi Recruitment 2018 2019 Application Form for 102 Assistant Professor, Anesthesia, Cardiology, Clinical Haematology, Neurosurgery, Pulmonary Medicine, Radiology, Surgery Posts Download Application through Official website www.vmmc-sjh.nic.in. VMMC Delhi Assistant Professor Jobs Notification 2018 Released. VMMC Delhi invites Walk in Interview for appointment in following Assistant Professor post in Vardhman Mahavir Medical College & Safdarjung Hospital. 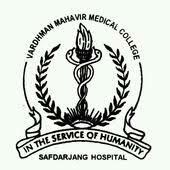 Candidates are requested to Download Application through Official website www.vmmc-sjh.nic.in. Prospective candidates will have to before Walk in Interview carefully reading the advertisement regarding the process of examinations and interview, eligibility criteria, Offline registration processes, payment of prescribed application fee/intimation charges, VMMC Delhi pattern of examination, VMMC Delhi Syllabus, VMMC Delhi Question Paper, VMMC Delhi Walk in Date, VMMC Delhi Result Date etc.